Many of the courses at Hiroshima University are taught in Japanese, but there are also some programs with courses taught in English. 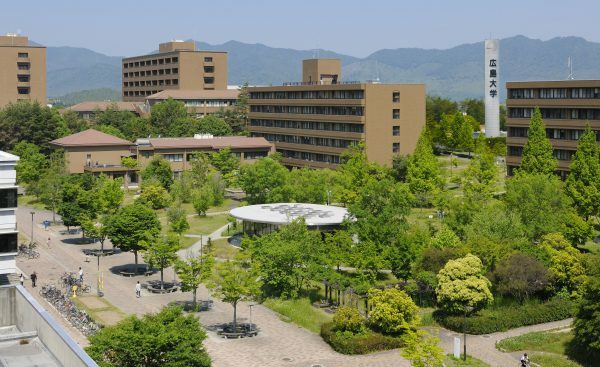 Hiroshima University prides itself on being a truly international school. At any given time, students and scholars from over 70 different countries may be hosted there. Though Hiroshima may forever be thought of by the world as the city where an atomic bomb was dropped, today it is expansive and very modern (and don’t worry — no radiation remains whatsoever!). Students who study at Hiroshima University have all the comforts of city life, and also the opportunity to visit historical sites that students at other Japanese universities must travel many hours to view. The memorials, parks, museums, and castles of Hiroshima are beautiful, moving, important, and truly the only ones of their kind in the world. In addition to matriculation fee and tuition fee, average living expenses including accommodation, foods, entertainment, phone bill, and study materials are approximately ¥69,000 per month. International students are allowed to work up to 28 hours per week only. According to the recent survey, the minimum wage is ¥818 per hour in Hiroshima Prefecture.